I love traditional tomato gazpacho and I have a special love for aguacates or avocados, hence this recipe. I can just eat avocados as a snack with a sprinkle of salt on top, and I always have them in my house. I was trying to make something different with them and that is how this recipe came to mind. 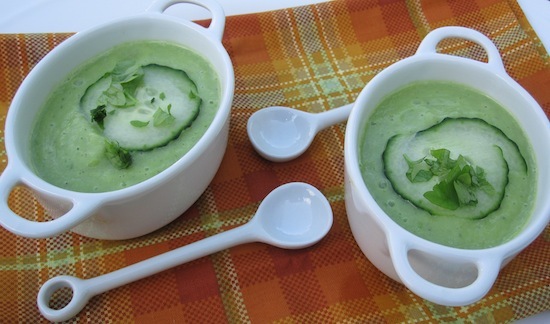 This Avocado Gazpacho is a terrific appetizer for summer parties. Place all the ingredients in a blender and blend until you have a smooth mixture. Adjust seasoning and transfer to a bowl and refrigerate until very cold, at least 1 hour. To serve, divide the gazpacho in bowls or cups and garnish with cucumber and red pepper. 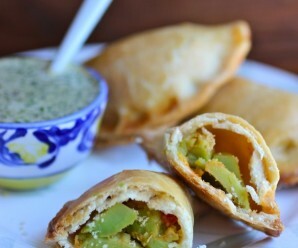 Love the lovely color of this refreshing appetizer. Have a nice weekend and please my new site when you’re free. ¡Mmm… Será cuestión de probarlo! Porque debe estár riquísimo. A lovely gazpacho! 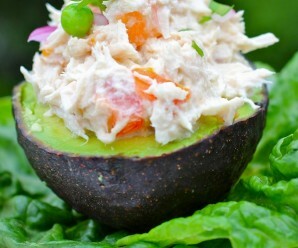 This would be a definite hit at our house, love the avocado! What a great idea! I look forward to trying to it. 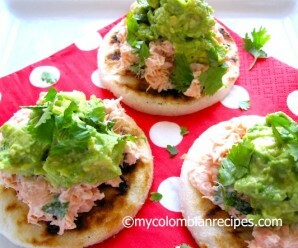 Wonderful recipe and the colors are gorgeous. Te botastes con esta sopa…Great idea! This looks so good – wonderful and creamy! 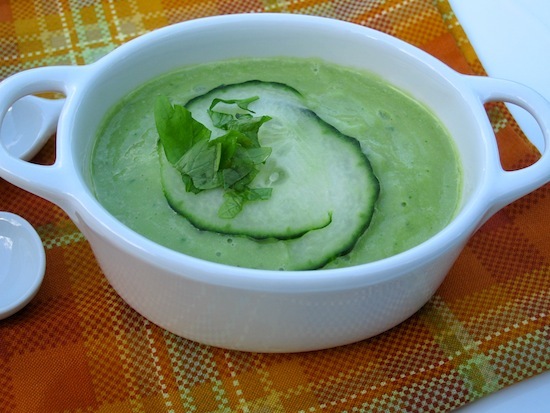 given my love for avocados, i must say that this leaves traditional gazpacho in the dust! With this kind of heat, a cool dish like this is perfect. Glad that you are back posting again! I bet this is so fresh and delicious! What a great new gazpacho idea! 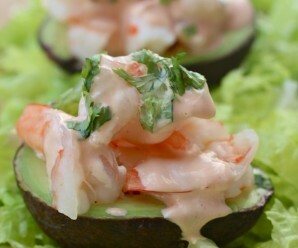 Love the idea of adding avocado to the gazpacho – sounds just yummy. I tried tonight, It has a very strong flavor and is very tasty. I little overwelming. It is good in moderation not a big heaping bowl. may be like 4 to 6oz per serving. I poured myself about 12 and it was to much. Must be really cold!